Paintball has evolved drastically in recent years. What once was a game played by enthusiastic teenagers is now a full-fledged sport that’s enjoyed all over the world by people of all ages. The popularity of the sport has even lead to professional leagues and teams. It’s a fun sport that gives guys the opportunity to let out their competitive side. Whether you’re playing in your own backyard course or at an advanced paintball facility, it’s important to get a high-quality paintball gun. Modern guns come in all shapes, sizes, and styles, allowing you to choose an option that works with the way you play. They use either CO2 or compressed air to launch small balls of paint at high speeds. The way a gun is designed and built can ultimately affect its performance and safety. While the game is considered relatively safe with all the right gear and precautions, there are still some risks. In addition to having the right gun, players should know how to play safe before they ever set foot on a course. Here are some of the best paintball guns on the market and some important safety tips to ensure that you have fun and stay safe. The Proto Rail is an advanced gun that offers great precision and control. The body is made of lightweight aluminum while the frame is made from a unique composite material. The barrel is precisely crafted to eliminate imperfections and improve accuracy. The gun has Fuse Bolt technology, which operates at a lower PSI for a smooth bolt cycle. There’s also a Hyper3 inline regulator, which makes it possible to change air pressure at a moment’s notice. The regulator can be adjusted very precisely. It’s responsive, allowing you to get a fast response and smooth air flow. The Proto Rail gun also has a self-cleaning Eye Pipe system to keep the components free from debris, ensuring optimal performance. This paintball gun from Empire Paintball is a high-performance option for guys that need rapid fire action. It’s versatile enough for a variety of different games and has multiple barrel inserts. It comes with a long 14-inch barrel for long-range shots with improved accuracy. An automatic trigger makes it possible to shoot in rapid succession. In terms of design, the gun is very sleek. It’s clad in all black and features a textured grip. There’s also a pressure regulator and simple gauge. The gun runs on relatively low pressure, allowing you to get more action on a single cartridge. This versatile paintball gun from Tippmann provides you with consistent performance. It contains a number of unique features that improve the overall longevity of the gun while also decreasing regular maintenance tasks. The anti-chop technology eliminates ball chopping, improves accuracy, and maintains ball velocity. This is achieved because the front and rear inline bolt systems work separately from one another. The gun is made from aluminum die cast for ultimate durability. It’s semi-automatic, making it suitable for a variety of games. To ensure that the gun can be upgraded or modified, Tippmann utilized a split receiver design that provides easy access to internal components. There’s also a Picatinny rail on top for accessories. Made for novice players, this package comes with everything you’d need to play safely. The gun itself, a Tippmann Cronus, is very lightweight. It’s made from a composite material that’s easy to maintain and a cinch to hold during an outdoor game. The grips contain molded rubber for comfort. Inside, the gun is everything you’d expect from a high-quality Tippmann option. There’s the unique inline bolt system, a mechanical trigger, and 9-inch barrel. The package comes with a comfortable harness, paintball tubes, a CO2 tank with pin valve, and a protective mask with an anti-fog lens. The Proto Rail Maxxed by Dye is a modified version of one of the manufacturer’s most successful models. It has a similar design to the standard Proto Rail, but features a longer 14-inch barrel and some cool colors that stand out. It has the same Fuse Bolt system and Hyper3 regulator to give you the most control while playing. However, it also has the addition of a lockdown clamping feedneck, a sticky surface on the grips, and an Eye Pipe enclosure system. The feedneck makes it possible to attach a rotor without tools while the enclosure system protects the pipe from debris and wipes it clean with every shot taken. Powered by a 9.6-volt battery, the Spyder Fenix paintball gun is loaded with features that can dramatically improve your game. It’s very light and noticeably shorter than other options, making it versatile enough for different play styles. The gun also has semi-automatic, ramp PSP, and Ramp Millenium shooting modes built right in. The saber-style trigger can be adjusted for comfort and has a magnetic response. Internally, the gun has an anti-chop system to maintain performance. The EKO valve system is also used to make the gun efficiency. A single 20-ounce tank of CO2 can launch up to 1,800 shots compared to the 800 you’d get from a standard gun. With a look that would fit right in with a military rifle,the Tippmann X7 Phenom is made for serious paintball enthusiasts. It may be a bit bulky for newer players. However, it’s equipped with FlexValve technology. It uses a lower PSI for efficiency and has minimal kickback. While it doesn’t use a battery, the gun is designed to shoot perfectly with every pull of the trigger. There are five different shooting modes. You can easily change between modes on the fly with a simple switch on the side. The switch allows you to go from manual to semi-automatic. There’s also a 3-shot, fully automatic, and fully automatic response mode. The DM15 from Dye is easy to use and maintain for years of competitive fun. The frame is very light, making it suitable for newer players that need something easy to carry around the course. It has a low-pressure regulator for better shot efficiency. The gun also utilizes Dye’s Fuse Bolt system and Eye Pipe enclosure system. These systems do most of the maintenance work for you. The internals automatically clean themselves after every shot to help prevent clogs and damage. An adjustable trigger a sticky grip cover ensure that you play comfortably. It’s also available in a wide range of different colors. While it is on the upper end of the price spectrum, the Planet Eclipse ETEK 5 is built with performance and efficiency in mind. Everything from it’s SL4 inline regulator to its dual-density grips help you play your best. It’s a great gun for any type of playing because of the Zick3 system. The paintballs accelerate in two different stages. In the first stage, the ball accelerates gently to the bolt. Then, the bolt stroke launches the ball at very high speeds. This process is gentler on the paintballs while also helping to reduce coil. With the contoured grips, you’ll have no problem controlling the ETEK 5 wherever you play. Before choosing the coolest paintball gun you see, there are a few things to consider. The right gun can make a huge difference in your performance. Subtle design changes can ultimately affect the gun’s ease-of-use, mobility, and more. 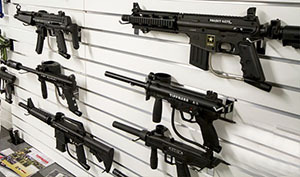 On your search for a paintball gun, you may find both standard mechanical and electro-pneumatic options. These refer to the firing systems. While both systems work great, they do have their advantages. Mechanical firing systems are relatively cheaper. They don’t require any batteries. Instead, they use the force of the gas to operate. However, they have more moving parts. This results in more bulk and inferior performance. Electro-pneumatic guns use a 9-volt battery to fire. They use up less gas and make it possible to get very fast shots. These guns can also have rapid-fire modes, making them more suitable for “run and gun” situations. They also tend to have less recoil. On the downside, electric options tend to have a higher price tag. In the past most paintball guns used CO2 gas to fire. However, the modern fuel of choice among enthusiasts is often HPA, or compressed air. 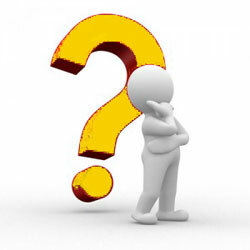 Compressed air is a generally safer and more effective choice. CO2 tends to produce uneven shots while compressed air is known for its power and efficiency. With HPA, you will get more shots per tank. 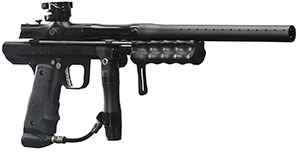 Many modern paintball guns can be used with either option. The right paintball gun for you depends on the way you play. While you certainly don’t have to get a separate gun for different types of game, slight changes in design can prove to be beneficial in your performance. Some popular types of paintball games played include woodsball and speedball. Woodsball is played on an outdoor course and is meant to imitate a real battle. Players are supposed to take out opponents while finding cover and staying protected. The best guns for this game look like real military weapons and are built for durability. On the other hand, speedball is just about getting the most shots in a short period of time. The game involves a lot of running, so guns tend to be lighter. They often have a sportier look and are equipped with rapid fire technology. Paintball enthusiasts can get very competitive. It’s a thrilling sport that you should get excited about. However, it’s important to stay safe at all times. Reckless playing can result in some pretty painful injuries. With the right precautions, everyone can finish the game without any issues. A hit from a paintball can produce a pretty painful sting if you’re not covered up. It’s important to cover up as much as possible with thick and loose clothing. Long sleeve shirts, a hoodie, and baggy pants will help to absorb the force of impact. Tighter clothes will only allow the ball to hit your skin and make you feel the shot. It should go without saying that you need to protect your face and head. Paintballs can travel very fast. No matter how great you think your reflexes are, it’s not always possible to get out of the way of a speeding paintball. Without a face mask and goggles, you are risking serious injuries. Always wear protective gear on the course. Paintball facilities often have very strict rules about intoxication. You should never use a paintball gun under the influence of any substance. Whether it’s a few too many drinks or a drowsy medication, these substances can cloud your judgment and cause you to make stupid mistakes. It’s best to wait until you have a clear head. It’s not uncommon to see novice players just shooting randomly in hopes of getting lucky. Not only is this ineffective, but it’s also quite dangerous. Doing this can lead to unintended injuries to a staff person at the facility or another player simply leaving the playing field. It’s important to only make shots intentionally, not with reckless abandon. Close range shots can be particularly painful, so it’s common courtesy to simply make your opponent surrender. If you have the player in your sights and your finger on the trigger, they’ll likely throw in the towel. You should never fire a shot if another player is 20 feet or less from you. It’s best to shoot at a distance to keep everyone safe and comfortable. Despite a rather chaotic appearance, the sport is quite organized and official. While it may be competitive and thrilling, it’s always important to stay safe. With the right gear and safety precautions, you can hit the course with confidence and dominate your competition.